In many areas, ever-increasing requirements are being placed on the quality and appearance of surfaces. Particularly with reflecting surfaces, faultless, high quality production is expected. The parts are often subjected to manual inspection, which can lead to defects being missed due to tiredness of the inspectors. The reflectCONTROL Automation system is designed for automatic surface inspection of components whose dimensions require several measuring positions. The system projects a striped pattern onto the measurement object. Defects on the surface cause deviations from the striped pattern which are recorded by cameras and evaluated by software. 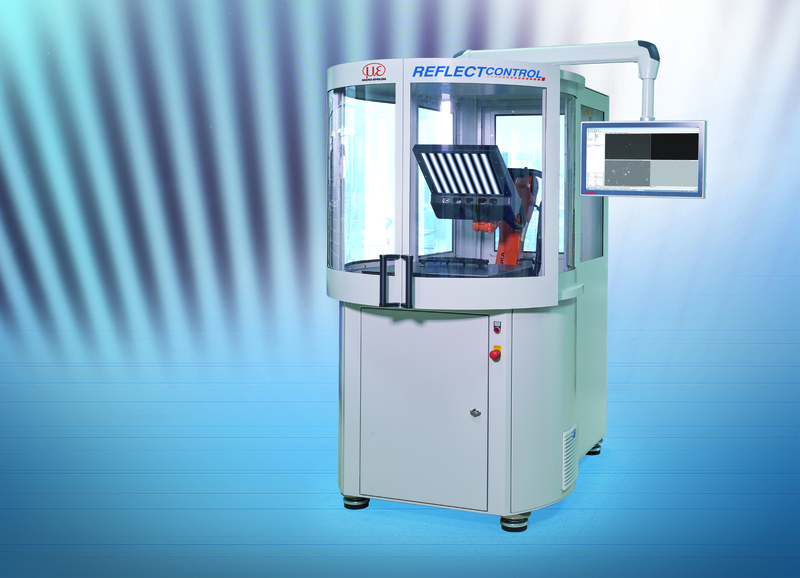 The compact deflectometry sensor, which consists of a monitor for the striped pattern projection, as well as up to two cameras, is guided over the measurement object by a robot. This enables an easy, fast and reliable 3D inspection. Using the 3D model (CAD), the robot program is created. The robot guides the sensor over the relevant surfaces and inspects the surface. The defects found are then evaluated and displayed in the 3D model.